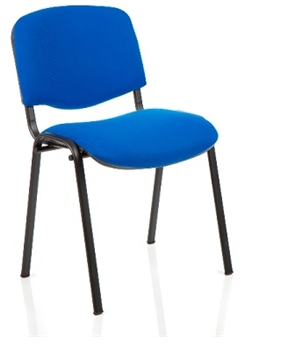 This is a vinyl stacking chair which is used in NHS waiting rooms. This object was an everyday symbol of the NHS for us, as it representative of a situation that most, if not all, members of the British public have experienced – sitting in an NHS waiting room for a GP or hospital appointment. In this space, a collection of very different people sit together. They will be of different ages, genders, sexualities, races, backgrounds and abilities. What connects them is that they are all using the same service – the NHS. Yes, waiting, and the chair we sit on, is a symbol of how we encounter the NHS. It’s freighted with meaning, not just of social solidarity, but also a range of other feelings like frustration and contemplation. It’s interesting that this gallery chooses a blue, stackable, vinyl chair. The colour associates it with NHS branding. The material and stackability emphasises low cost and saving of space. It also implies standardisation, but I wonder whether there is such a thing as an NHS chair. It would also be interesting to know more about the history of this key object of the NHS landscape.